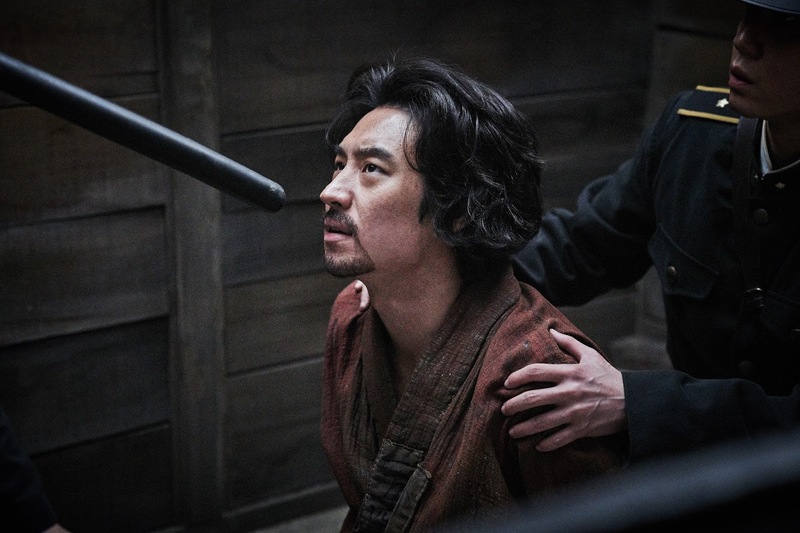 Lee Joon-ik’s latest film Anarchist from Colony is a continuation of the director’s fascination with the grand events of Korean history. From King and Clown, a film about the relationship between a Joseon dynasty king and a troupe of street performers, to Blades of Blood, about a Zatoichi-esque character during the early days of the Imjin War, Lee has focused on the perspective of the marginalized. 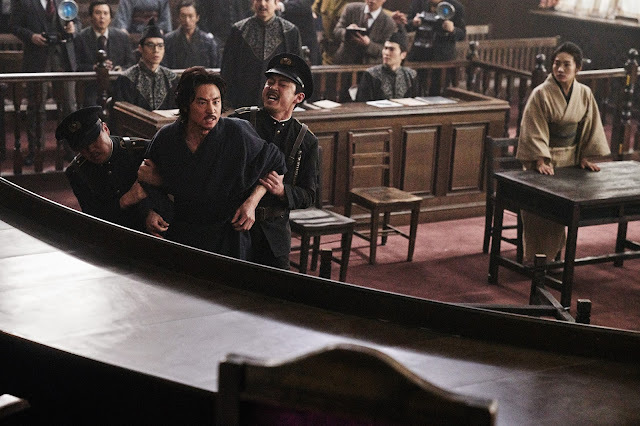 This continues with the story of Park Yeol, a Korean anarchist who had grand designs on killing the Japanese emperor Hirohito, all in the hopes of freeing Korea from Japanese control, but was arrested and tried for treason before he could put his plan into action. However, Anarchist from Colony is not a straight docu-drama. The film isn’t your typical Anti-Japanese propaganda picture either, even though it does spend a lot of time exhibiting a few of the atrocities committed by the Japanese, especially during the 1923 Great Kanto Earthquake, with nothing exaggerated for effect. In fact, the film underplays the atrocities to the point of almost trivializing them. The Japanese Imperial government is presented as ineffectual, while the Korean freedom fighters are a lovable group of scruffy outsiders. The brief scenes and mentions of the atrocities committed during the Earthquake are reduced to numbers. Lee and his screenwriter Hwang Sung-goo frame their story as a romantic drama. A tale about Park Yeol’s relationship with the Japanese woman Fumiko Kaneko, a woman whose harsh life gave her a disposition towards hating authority and a desire to fight against the inequities caused by authority figures. Choi Hee-seo’s almost manic pixie dream-girl portrayal of Fumiko and her “stand by my man” attitude for the most part pigeonholes the character as the quirky girlfriend. Fumiko is the linchpin of the narrative, and an ironic one at that as a Japanese woman standing against Japanese oppression, but though she is the most compelling character her motivations amount to little more than righteous indignation. Meanwhile Lee Je-hoon’s performance as Park Yeol is a balancing act between comedic slapstick and blustery arrogance; a portrayal that makes you laugh when, oftentimes, the scene calls for something a bit more nuanced than caricature. It’s quite difficult to separate fact from emotion when looking at Colonial histories, and Korea’s past as a colony of the Japanese empire is no different. 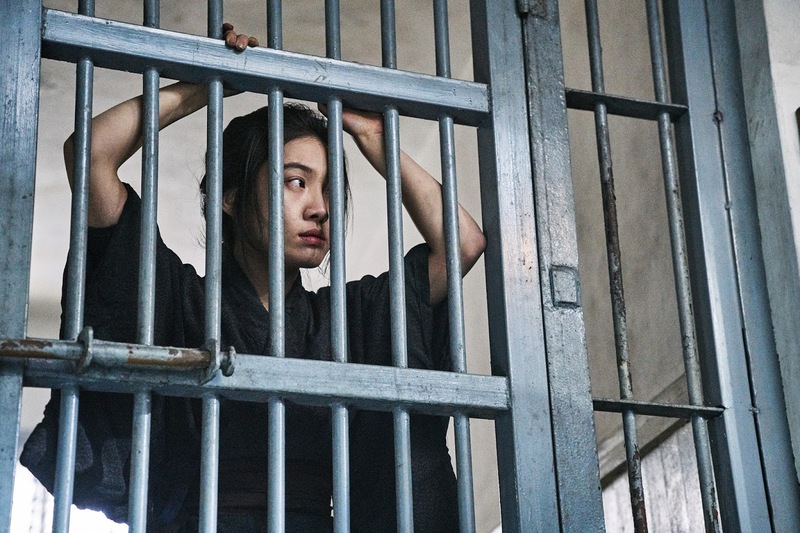 While recent films about the Colonial Era, like Assassination, The Age of Shadows, or The Handmaiden offer up taut thrillers, exciting action, psycho-sexual narratives and a unique visual palette, Anarchist from Colony tries too hard to give the viewer a poignant love story, a biopic and a story of Korean resistance but it all falls short. Instead of the harsh truths of the era, Lee gives us the rose-tinted version, a cheap knock-off to the real thing, and why waste time with that when there are far better pictures to see.